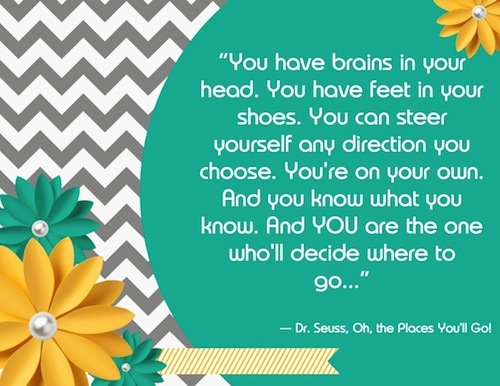 I love Dr. Seuss... who doesn't? I love the fact that in the midst of something that I read as a child there is truth about how to live life. We all have the brains and ability to guide ourselves in the direction of our dreams. We are not at the mercy of fate or anything else. Our choices are our own and it's time to own them. Today who do you choose to be? What direction do you choose to walk?